SILMO INTERNATIONAL partners are extending their reach into promising new markets. Following on from Silmo Istanbul, the brand is set to make its debut in Australia. Organised by Expertise Events, a specialist in event management and trade fairs, the very first SILMO SYDNEY is scheduled for 9 - 11 March 2017 in the brand new International Convention Centre of Australia’s economic and cultural capital. The aim of this new trade fair is to reach buyers and opticians in Australia, New Zealand and the Pacific islands. Hosting brands and companies from across the optics and eyewear sector: frames, lenses, contact lenses, materials, services, etc., its ambition is to become the new stand-out gathering on the industry’s international trade fair calendar. To ensure a quality welcome and a relevant product offering, the organisers plan to set up two advisory committees. The first of these, the Eyewear Suppliers Panel will represent exhibiting companies which must commit to stay in sync with the needs of the market. The second and equally essential is the Eyewear Retailers Panel, which will bring together independent opticians, distributors, optometrists, ophthalmologists and other professionals involved in the optics and eyewear retail sector. Their collective input will shape the topics and format for a programme of visitor-focused presentations on the ever-changing marketplace. 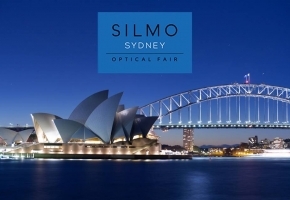 “Within the global circuit of optics and eyewear exhibitions, SILMO SYDNEY will be a truly international event that is sure to impress with its brand new style and format”, is the promise of Gary Fitz-Roy, Managing Director of Expertise Events. “Save the date to join us in 2017”. With a proven reputation in Australia, Expertise Events is the nation’s second largest organiser of trade fairs, managing events in a wide range of sectors. 3,800 companies participate in its exhibitions each year, which in turn attract more than 600,000 visiting professionals.